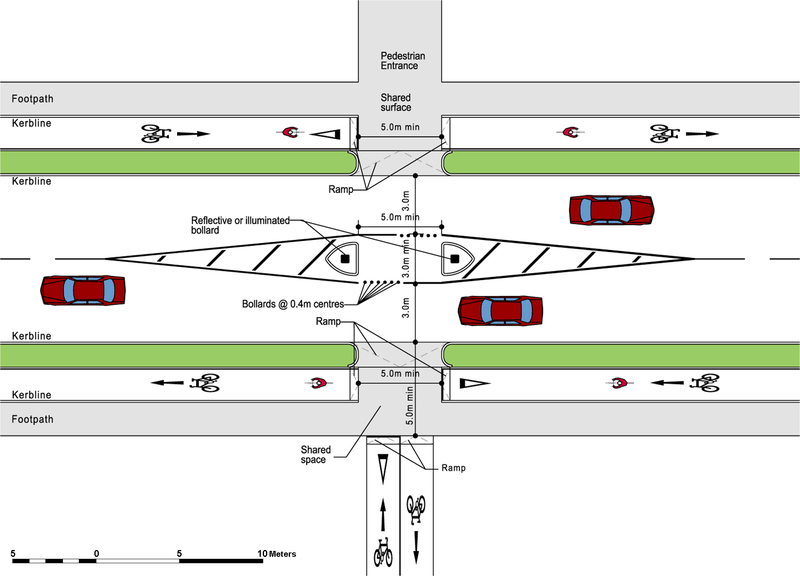 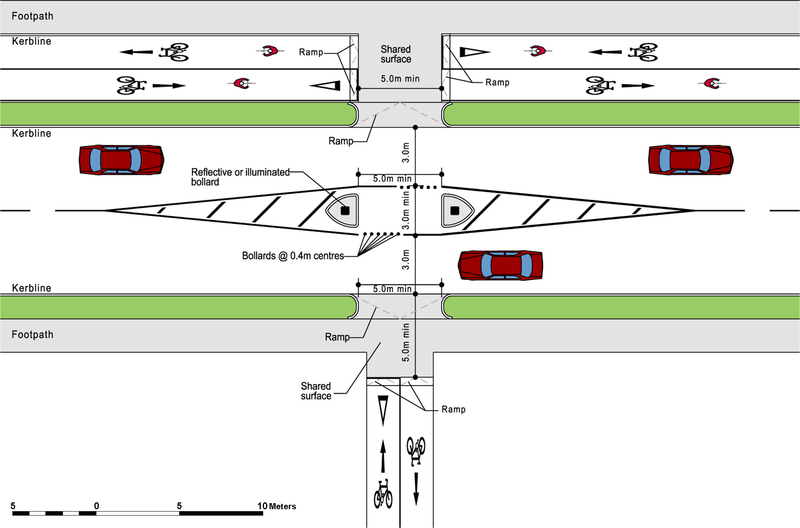 Crossings are intended for cyclists to cross the road at right angles to the traffic flow. They are used where the combination of traffic speed and volume makes it unsafe for cyclists to mix and weave with traffic. 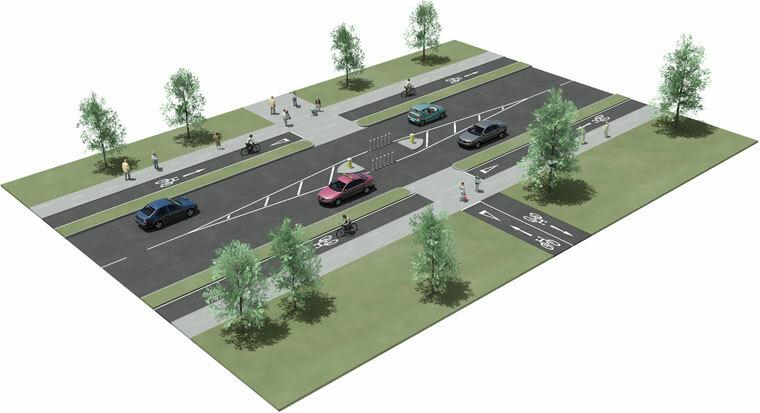 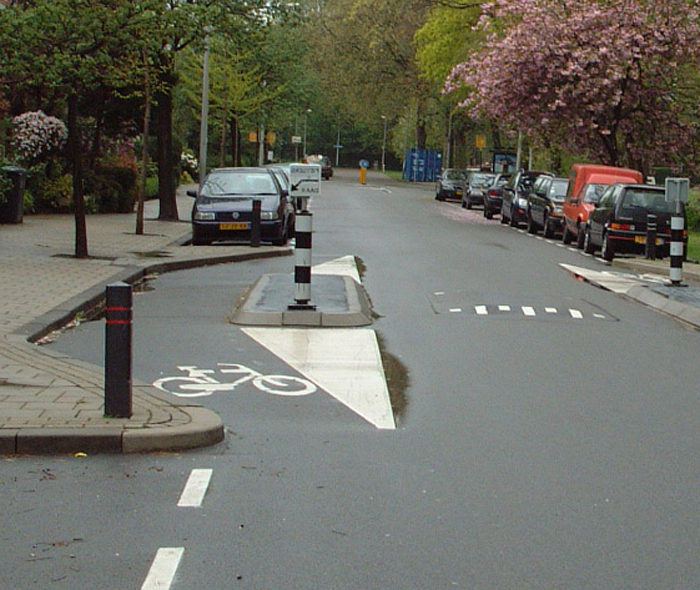 A range of different crossing types are possible depending on circumstances, and afford cyclists and pedestrians the option of stopping traffic in order to cross the main road. In all cases, the most cycle-friendly choice is the one that provides for safe crossing and minimal delay to the cyclist. 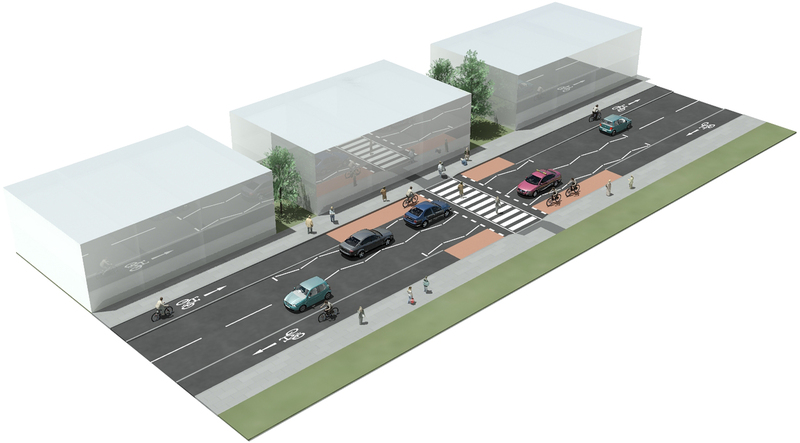 A variety of uncontrolled crossings can allow cyclists and pedestrians to stop and cross the main traffic safely. 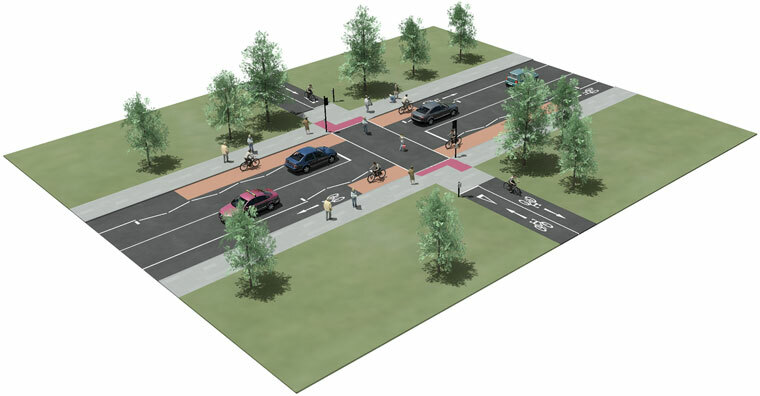 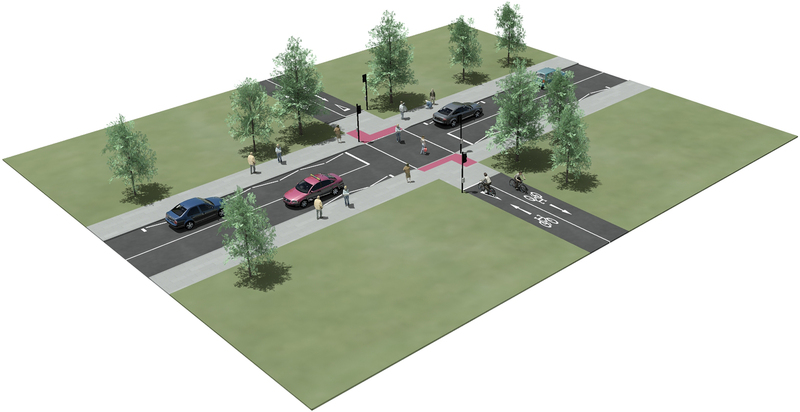 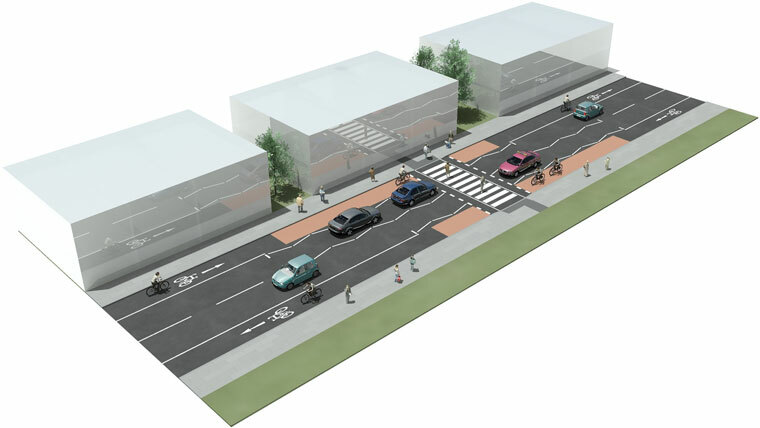 These include solutions that passively reduce traffic speeds and/or address the crossing as a two-stage process. 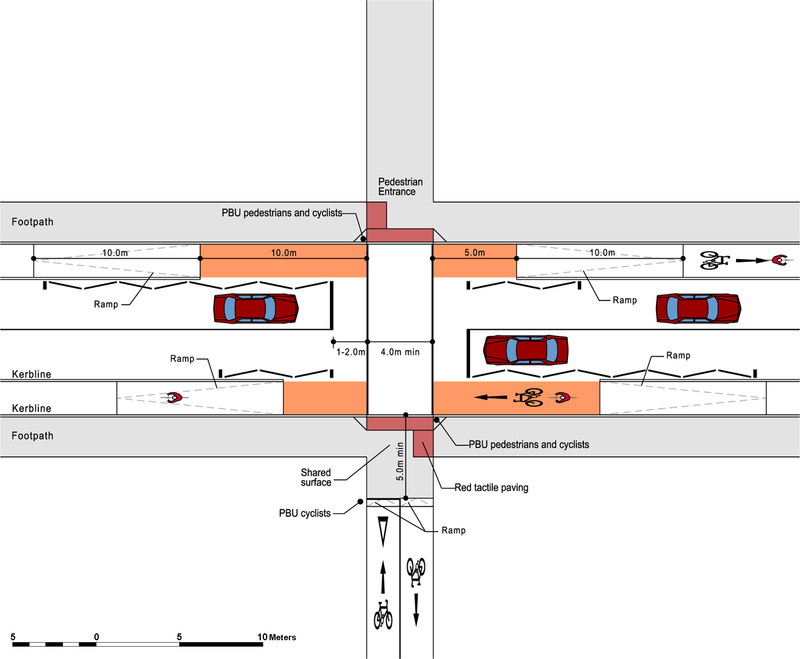 Cyclists and pedestrians must wait for a suitable gap in the traffic before crossing. 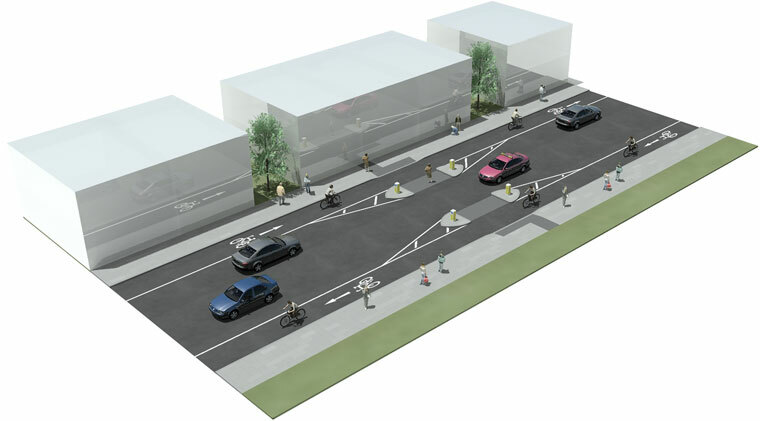 The volume and speed of traffic on the main road will influence the choice of these solutions. 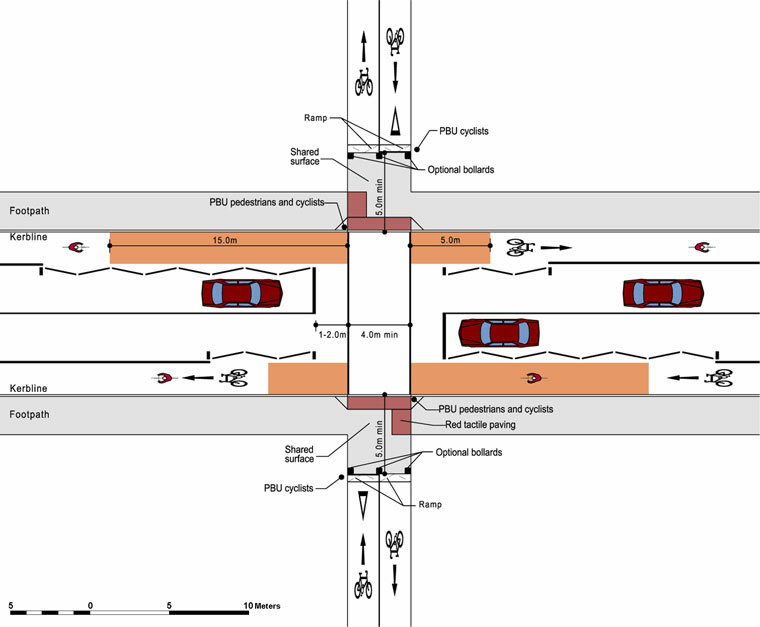 Heavier traffic and higher speeds will generally require controlled crossings – see below. 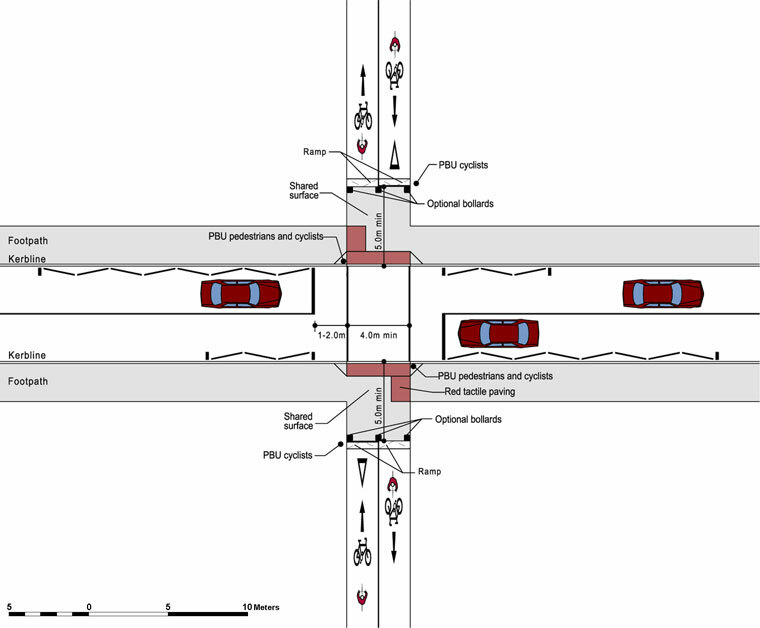 Controlled crossings facilitate cyclists and pedestrians by allowing them to stop traffic on the main road. Signals, activated automatically or by push button units will stop the traffic and give cyclists and pedestrians sufficient time to cross the road safely.